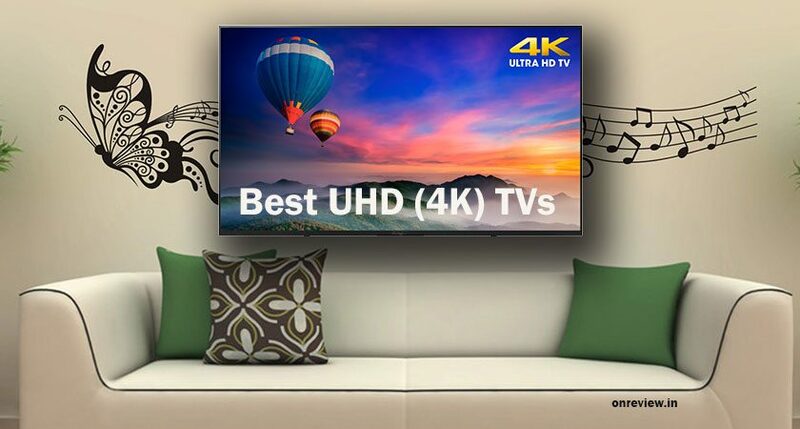 Are you searching for the best UHD TVs or 4K TVs for your home? You are absolutely at the right place. We have gathered here the best UHD TVs picked from the best brands. As technology has changed the way and also a drastic change has occurred in the world of TVs since the last few years. Because of this technological enhancement, the new generation of TVs are now available. The latest UHD TVs or Ultra High Definition TVs has taken over the place of traditional HD TVs. The 4K TVs or UHD TVs has more improved picture quality, sharpness, color and viewing angles, design and of course the sound quality. Now what exactly the 4K or UHD is? It actually refers to the resolution of 3840×2160 pixels. It is four times the 1920×1080 pixels which are normally found in a full HD TV. Since 4K is the most commonly used term, it is also known as Ultra HD TV or UHD in short and even 4K Ultra HD. Furthermore, what makes UHD TVs the best out of full HD TVs. Since it comes with extra resolution, it adds better definition and clarity to the picture. 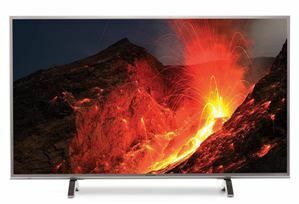 All the big brands including LG, Samsung, Sansui, and Sony have the latest ranges of best 4K TVs. Here is the list of 7 best UHD TVs which are our latest picks from the above-mentioned brands. 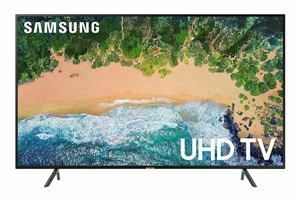 Let’s have a detailed look at all these models and make your buying decision easier with our picks for the best UHD TVs or 4K TVs. Here is the detailed review of all the above mentioned models of UHD TVs along with their full specifications and buyers feedback that will surely help you in digging out the best one for your home theater. LG 43UK6360PTE with the new 4K resolution makes a new standard of high definition by raising the viewing bar higher than ever. Equipped with the built-in Google Assistant, it takes your world of entertainment to the next level. It lets you select your favorite programs, ask questions to your Google Assistant and also you can enjoy more than eight hundred offline commands with its AI ThinkQ feature. The amazing wireless connection allows you to cross over all kinds of Bluetooth devices in a hassle-free manner. This model from LG is one of the best UHD TVs that delivers the most identical color impression to that of the original image in every precise pixel of the UHD resolution. It also offers the most consistent contrast and color from all the angles and thus enabling you to enjoy more professional grade color from every seat in your home. This UHD TV from LG is also featured with new soundpost processing technology to give you an outstanding and multi-dimensional sound speakers without adding any extra speakers. The remote comes with it works magically allowing you to control your set-top box, speakers, BDP, and even satellite TV with this single one.This LG 4K TV also offers you to explore and enjoy more on Netflix’s premium 4K HDR content with easier control and faster access. 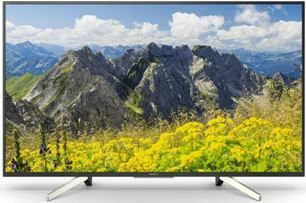 If you are seeking for UHD TV at an affordable price then Panasonic TH-43FX650D is the best UHD TVs at amazing affordable cost. It comes with a high contrast display offering you a good view while watching movies, playing games, and browsing through different apps. The IPS LED super bright plus panel gives you high light transmittance and wide viewing angle. The high-contrast UHD 4K display offers great depth & detail to your movie-streaming experience. Featuring Hexa Chrome Drive technology, the TV provides natural and beautiful color with “6 colors reproduction”. It also has specially designed box speaker offering you a sound experience that is truly surround in nature. And its special voice interaction feature lets you interact with the TV through your voice command via the Viera remote app. Another best feature of this smart 4K UHD TV is bluetooth audio link function that connects easily to a wireless audio speaker via bluetooth and provides amazing powerful sound. Also, it comes with “Swipe & Share” feature allowing you to ‘throw’ content from your smart devices to the TV Screen by swiping your fingers along your portable devices. Not only this, with the easy mirroring feature, you can fastly and easily reproduce what is showing on your portable device on your TV’s much bigger screen. The new Sony Bravia KD-43X7002F is equipped with all the features you need to experience a high-performance digital product with cutting edge technology. Thus comes under the category of the best UHD TVs out there. It comes with a high quality LED display that offers clarity and efficiency both. With 43 inches screen size this Ultra HD TV from Sony offers clear and smooth picture quality. It’s wide viewing angle offers the perfect color contrast for the perfectly clear view from every corner of your house. The model gives you Ultra HD picture quality and thus delivering you real life experience on the virtual platform. It is featured with built-in Wi-Fi to enjoy great entertainment like browsing movies, enjoying video channels like YouTube and accessing services such as on-demand TV, wirelessly. The smart plug and play feature allows you to easily share videos, photos and music from multiple devices.Plus, the screen mirroring feature allows you to enjoy content and apps from your smartphone on your Sony TV. Get an amazing viewing experience with this efficient model of LG. Packed with features like Ultra HD, Netflix, IPS 4K, and much more, this one is the best UHD TVs out there. The LG 43UK6560PTC 43 inches Smart UHD TV is light and can be mounted easily on a wall. 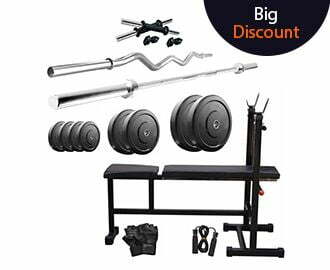 It is featured with Ultra High Definition resolution ensuring you to enjoy feature rich contents like movies, sports, and other entertainment. 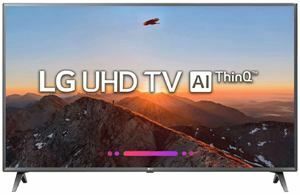 This model of LG comes with the AI ThinQ technology that controls your TV through Voice Recognition. It also comes with the new sound processing technology that provides immersive, multi-dimensional sound experience without additional speakers. With its magic remote that is AI assisted you can operate your smart TV, easily and effectively using your voice. Whether you want to enjoy the best of entertainment, play video games, or connect with your friends on social media, all you can do with this great Samsung UHD TV. It comes with the stunning 4K UHD resolution that makes images more clear. So everything you watch looks and feels natural. This model from Samsung also has the UHD dimming feature letting you divides and processes the screen into small blocks so you see more precise details. Its SmartThings app offers features such as Remote Control and Mirror Screen. Plus, the contec sync and share feature of this UHD TV lets you Seamlessly connect your Samsung smart devices to sync photos. The model KD-43X7500F from Sony is one of the great ones amongst the best UHD TVs. The model will definitely change the way you enjoy your television viewing experience. Pairing the brilliance of 4K clarity along with the brightness, color and detail of high dynamic range, this TV offers you the ultimate picture quality. Plus, the 4K X-Reality Pro offers the amazing and extraordinary clarity. This Sony UHD TV is designed to expand your entertainment by delivering unlimited enjoyment of various contents, from apps to movies between Android devices. It is also equipped with the magnetic fluid speakers that offer the ability to play Hi-resolution Audio with zero distortion and exceptional clarity. Featuring Voice search, this TV lets you find content across different services and thus allowing to spend less time in browsing and more time in watching. With the built-in Chromecast feature, you can easily cast your favorite entertainment like YouTube or Netflix from your personal device on to the TV screen. And the biggest plus is that you can enjoy the HDR gaming as it is compatible with Play Station 4 and Play Station 4 Pro Consoles. 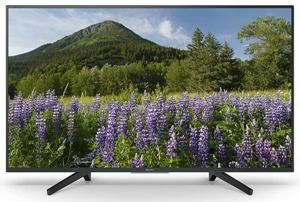 With an affordable price range, the Mitashi MiDE043v10 4KSUHD TV is one of the best UHD TVs bringing your viewing experience to the next level. It offers razor sharp image and crystal clear audio quality. The TV has all the smart features that let you browse the internet, access all your social media accounts and stream your favorite TV shows, all at the touch of a button. It is equipped with a powerful high speed dual core 1.2 GHz processor that lets you enjoy a hassle free experience with most games and applications. Some more exciting features that the model is equipped with includes smart remote control, multimedia cloud share, TV screen transmission, etc. This is all about 7 best UHD TVs or 4K TVs. 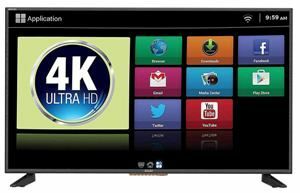 All these models are equipped with latest 4K technology and great features as well. So do more with your TV and get entertained in a whole new way on your 4K. Also, these are picked from the best brands including Samsung, LG, Micromax, etc. So, bring your entertainment experience to the next level by picking out one of the best UHD TVs mentioned above.